One of the most popular professions chosen by the school graduates is a doctor. They wish to work in the sphere of health care to help other people overcome different illnesses and health deviations. 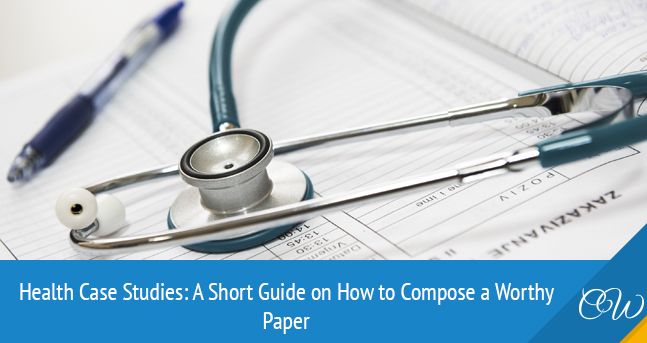 Accordingly, students of medical colleges and universities compose research papers of different types. Amongst such are health case studies. The purpose of every case study is to provide the audience with as many clear and logical details as possible. Thus, a reader receives a fuller picture of why some things take place and how to resolve an issue. This research project may also be explained in three words – explore, describe, and explain. Therefore, you should thoroughly analyze all details, circumstances, factors, and reasons associated with the question you study. Choose a topic. Your title should be focused on something important. This may be a concrete disease (mental or physical), some preventive measures, analysis of an effective remedy, or simply general recommendations on how to maintain a healthy lifestyle. List keywords. You should define the most important words and phrases, which clearly underline your main purpose. Spread them evenly throughout the text and use when it’s needed. Compose an abstract. This is a brief summary of your study’s content. The length is 150-250 words. Write the introduction. Give a general idea of what you wish to highlight in your study. Make it captivating. You may start with the importance of your research, offer some statistics, etc. State your thesis. Your next step is to present your case. Keep it brief and informative. Tell why your topic is so important and what its purpose is. State the management and outcomes. This is when you should propose your way(s) to overcome the studied problem. This may be a number of preventive measures, novel treatments, etc. Conclude. The last stage of the writing is the conclusion. Make it short as well. Restate your main claim and reveal the results of your research. Cite. After you are through with your writing, cite references. Do this in accordance with the assigned format. When you propose the solution, you are supposed to provide some effective methods. For instance, it’s necessary to mention how durable the treatment is supposed to be, how often to take it, what to take and in what way, how to end the course and other essentials. Adjustments to the care plan in case any complications occur. In order to learn more, look for health and social care case studies examples. Good examples, as well as topics for them, help a lot. Thus, you receive a possibility to learn many helpful things to craft a worthy paper. Moreover, don’t forget to use some interesting facts to make the piece even more interesting.